Summer is nearing its end, and the Hong Kong auctions season begins. 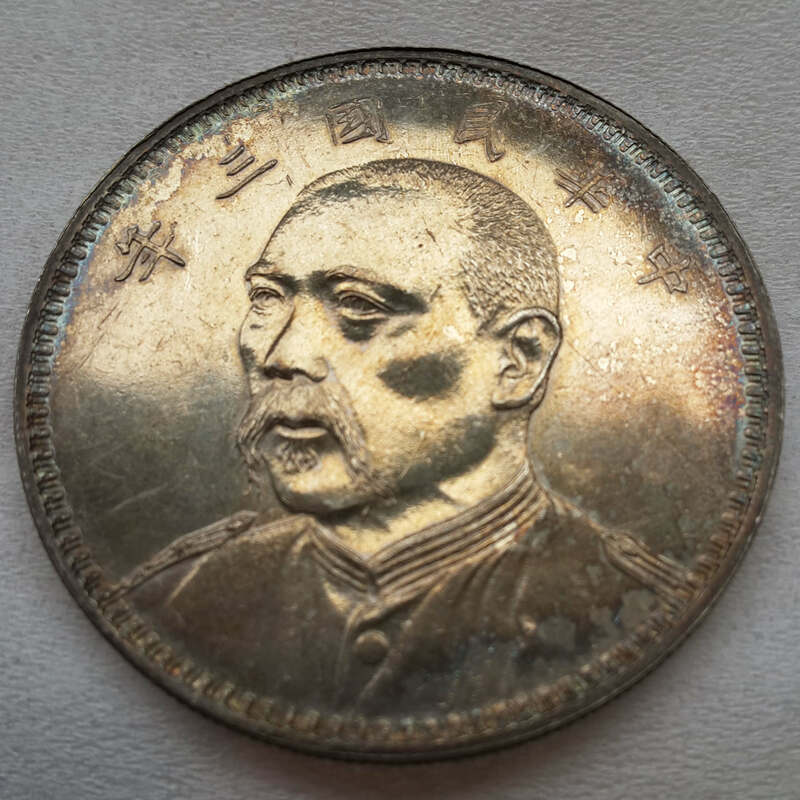 August is usually an interesting time for Chinese coins collectors, when rare coins are made available on the market and new prices are set. I was browsing the catalogue of Rarehouse, when I was intrigued by one of the highlight of the auction. 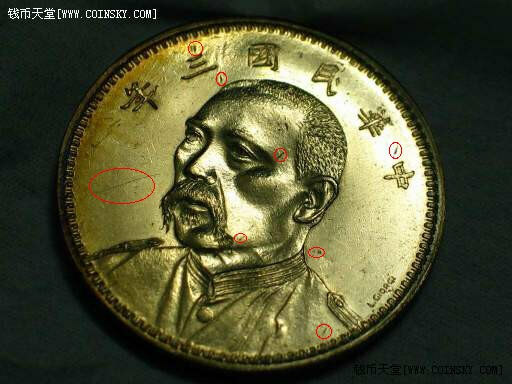 The denticles of the lot 1355, a rare Yuan Shih Kai pattern coin, bothered me. 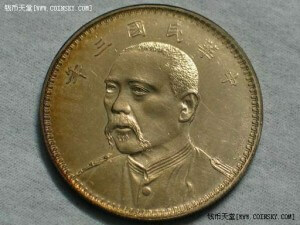 These teeth reminded me a lot of two other coins I have seen before. 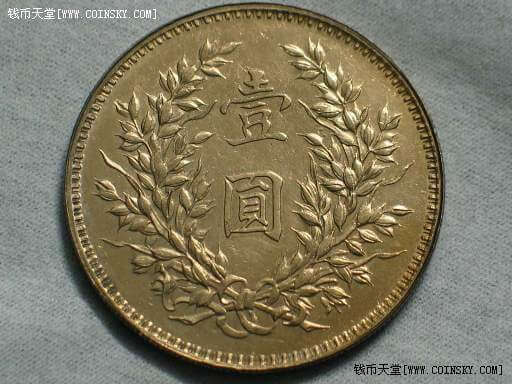 The first coin was introduced to me by a good friend, who was already in the midst of negociation with the owner and wanted my opinion about the deal. It was a beautiful specimen of an extremely rare Yuan Shih Kai dollar, with the signature of the famous Italian engraver L. Giorgi. The price tag was not too high for this type – ￥200,000 CNY, or about $32,000 USD. 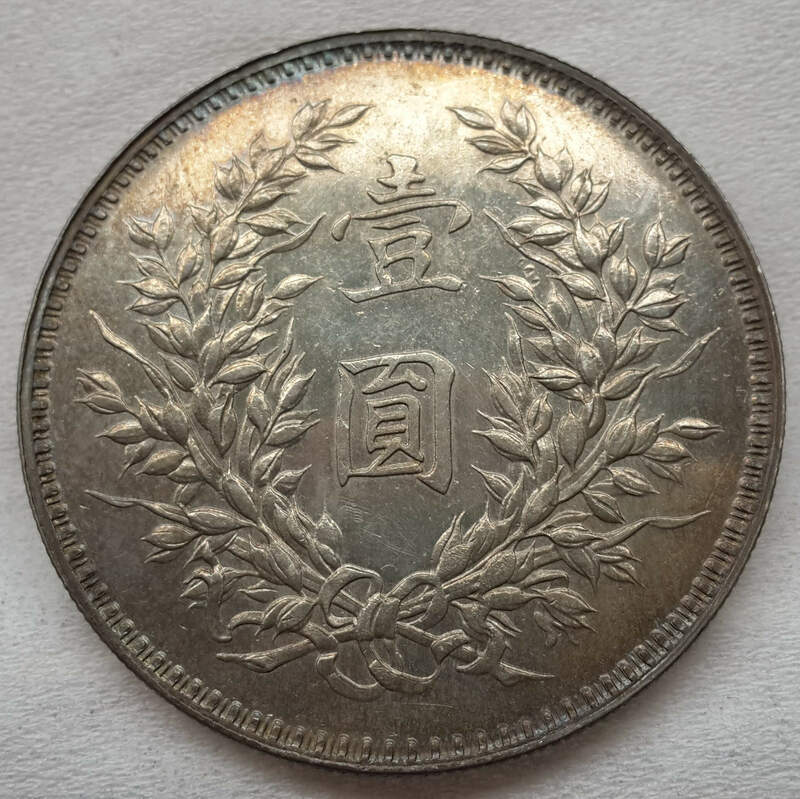 This looked like a good deal, but I usually collect Imperial dragon dollars, so I decided to learn more about this type online. That’s how I stumbled upon the sister of that coin. It was sold in 2005 on Coinsky, one of the largest numismatic forums in China, by the same collector from the Jiangsu province that now proposed to my friend the coin that sparked my curiosity. 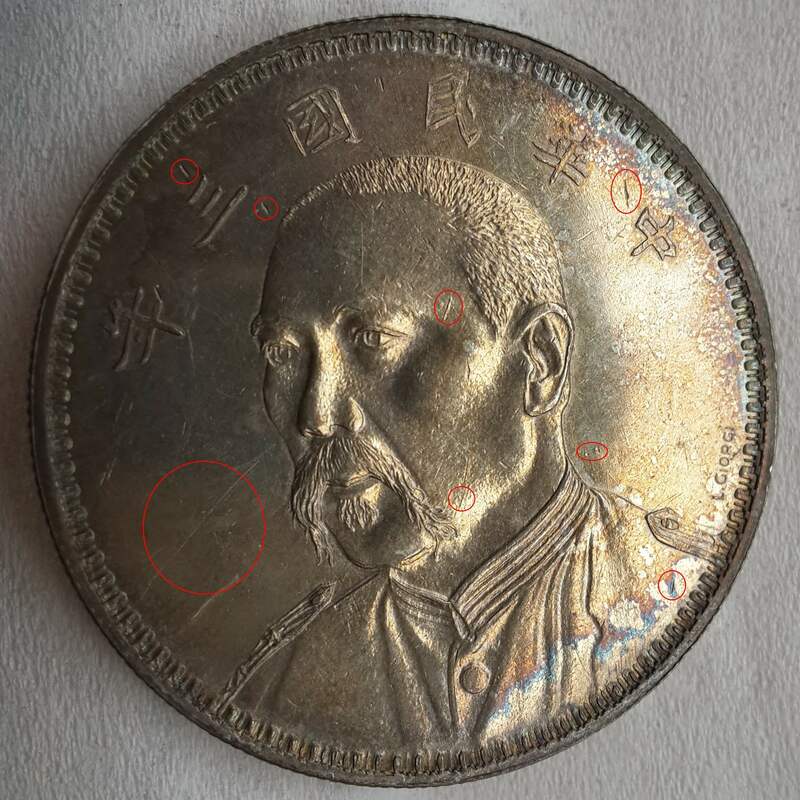 The identical scratches could not lie; as in previous articles, this was an indubitable proof that both coins were fake (click on the picture on the right for higher resolution). Small details matter: as you can see, the denticles are sharp and well struck.